Athena’s Daughters 2 Kickstarter Successful! Thanks so much to everyone who supported the Athena’s Daughters 2 Kickstarter! The project was successfully funded, and I cannot wait to get my own copy. I am also really looking forward to learning who I get to Tuckerize in my story. As part of the Athena’s Daughters 2 Kickstarter campaign, the authors and editors are doing a blog tour. Today I am delighted to be hosting Janine K. Spendlove here at acubedsf. Janine K. Spendlove is a KC-130 pilot in the United States Marine Corps. In the Science Fiction and Fantasy World she is primarily known for her best-selling trilogy, War of the Seasons. She has several short stories published in various speculative fiction anthologies, to include Time Traveled Tales, Athena’s Daughters, and War Stories. Janine is also a member of Women in Aerospace (WIA), BroadUniverse, and is a co-founder of GeekGirlsRun, a community for geek girls (and guys) who just want to run, share, have fun, and encourage each other. A graduate of Brigham Young University, Janine loves pugs, enjoys knitting, making costumes, playing Beatles tunes on her guitar, and spending time with her family. She resides with her husband and daughter in North Carolina. She is currently at work on her next novel. First off, I’m pleased as punch to have this opportunity to guest post on this blog, and even more so to get to co-edit Athena’s Daughters 2 with the very talented Maggie Allen. This is a project that we are both very passionate about and are thrilled by how strong this anthology is—every single story in it is fantastic, and Athena’s Daughters 2 runs the gamut of emotions and story lines. Most of the authors in this anthology have not been published before and I’m so happy that their voices will be heard. Please be sure to check out the Kickstarter for Athena’s Daughters 2 and pre-order your copy today! I’m currently working on various projects, to include putting together and editing Athena’s Daughters vol 2 with Maggie Allen, writing a graphic novel (a first for me, and I’m super nervous and excited), a military sci-fi retelling of Pride and Prejudice, and a somewhat secret project that will come to light this winter. Weeeeell… I write in many different genres (aside from my fantasy novels, my last two accepted submissions were horror stories, and before that, military sci-fi). But, based on what reviews of my YA novels have said though, it seems that people are surprised/happy to see that my War of the Seasons trilogy deals with the reality of losing loved ones/the grieving process, and a romance that is gradual and “realistic” (not “love at first sight”), and not central to the plot of the story. Ultimately it seems the reoccurring theme in comments is that readers care less about the actual story I’ve written, and more about the characters and their relationships/entanglements (which, obviously, need a story). Guess I should work on making my actual stories better. For War of the Seasons I had some grief and loss that I needed to work through. For most of my short fiction it’s either because a “what if” popped in my head or, again, I have some strong feelings about something I need to address (ie, my last mil sci-fi story was about PTSD, and the after effects of returning home from war – something I feel is infrequently seen in speculative fiction). And honestly, sometimes I write a story simply because someone asked me to. Idea or very generic subject pops in my head. I discuss said idea or subject with my husband and/or a few choice friends. Idea (subject is now an idea) bounces around my brain housing group for a while. This could be days or years. Research idea. Get more ideas. Idea bounces around brain housing group some more. Finish story & send it to choice friends for feedback. Receive feedback and do nothing for a while. Do not touch story for many months so that when I return to it I have fresh eyes. Work on other stories. Return to story armed with feedback and edit/revise. Finish, send back out for feedback, then edit/revise again. So basically, that. Or some permutation thereof. Thanks so much for stopping by! Please be sure to check out the Kickstarter for Athena’s Daughters 2 and pre-order your copy today! 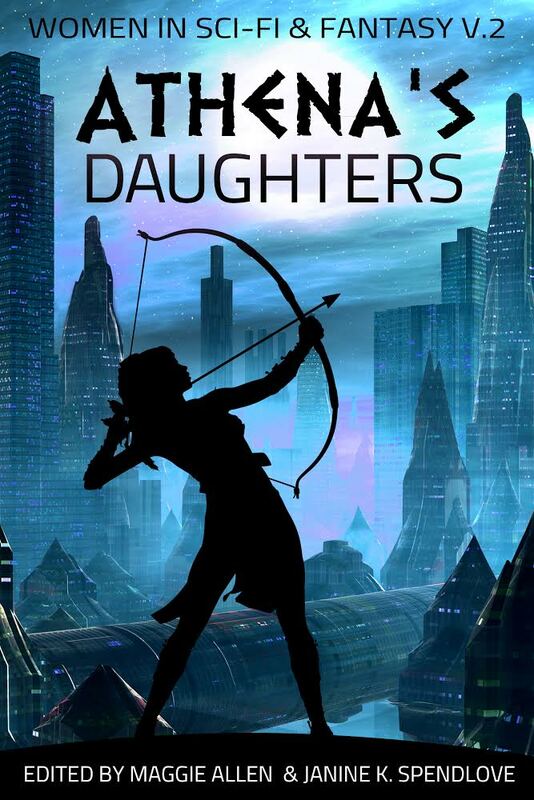 As part of the Athena’s Daughters 2 Kickstarter campaign, the authors and editors are doing a blog tour. Today I am delighted to be hosting Megan O’Russell here at acubedsf. How did you design the magical creatures in your story? 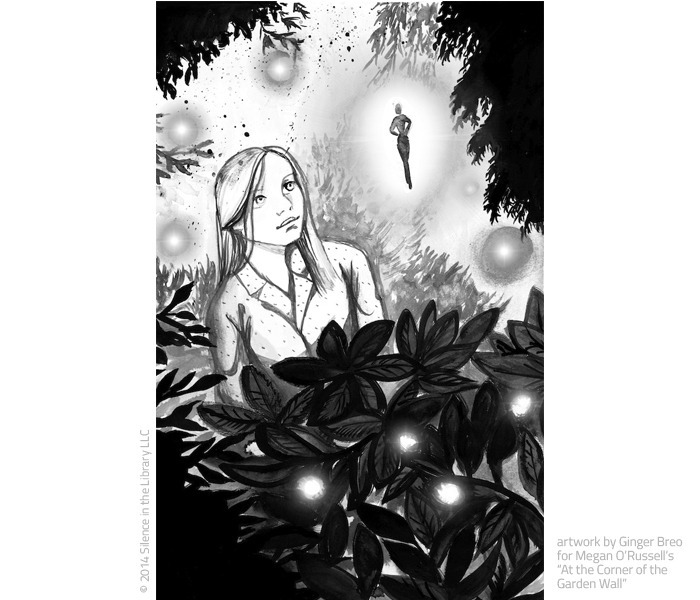 I am thrilled to have my short story At the Corner of the Garden Wall included in Athena’s Daughters 2. At the Corner of the Garden Wall is actually built within the world of my young adult fantasy novel The Tethering. The Tethering is about magic, power, and love. A magical society that is intertwined with our own is on the brink of collapse, threatening to destroy our world as well as theirs. The Tethering has myriad creatures and rules about magic, and it was really difficult for me to decide what to include in At the Corner of the Garden Wall. To really get into the nitty gritty of how The Tethering’s magic works would have taken so long there would have been no words left for the rest of story! I really had to focus on what elements of the fantasy world were absolutely necessary to the plot of At the Corner of the Garden Wall. I also had a cast of female characters to choose from and had a horrible time deciding exactly which one should get her own chance in the spotlight. Finally, after much grumbling, lip biting, and an entire other story being written, I settled on Claire, the spunky, sarcastic, pink obsessed, and intelligent-to-the-point-of-trouble-making twelve-year-old witch from The Tethering. As soon as I knew I needed to write about Claire, I knew the story had to have fairies. Ever since Claire found out she was a witch five years ago, all she has wanted was to meet a shining, sparkling, magical fairy. And it was high time I gave her what she wanted. Then it came down to deciding what exactly I needed the fairies to be. Did they have wings? Were they kind or wicked? Were they beautiful and majestic, or rustic and bug-like? Were they powerful or helpless? And what would Claire’s experience in meeting them bring to the reader and add to the world of The Tethering? After all the decisions were made, Claire’s adventure was ready to begin. What sort of fairies did I end up with? I’ll let you read the story to find out. I don’t know about you, but I’m really looking forward to reading this story! If you want to preorder the book, please visit our Kickstarter campaign. If you’re interested in helping us promote the book to others, please join in our Thunderclap. We appreciate your support! As part of the Athena’s Daughters 2 Kickstarter campaign, the authors and editors are doing a blog tour. Today I am delighted to be a guest on Emily Lavin Leverett’s blog, writing about why I read what I read. The Kickstarter for this anthology is coming to a close, and we’re organizing a Thunderclap to remind people it’s the last day. If you’re interested in buying the book, check out the Kickstarter. If you’re interested in helping promote the book, please join the Thunderclap! And thanks for your support! As part of the Athena’s Daughters 2 Kickstarter campaign, the authors and editors are doing a blog tour. Today I am delighted to be a guest on Megan O’Russell’s blog, writing about the inspiration for my story, “Hot Flash”. Beth Webster loved to spend cold days curled up with a good book and a toasty fire. 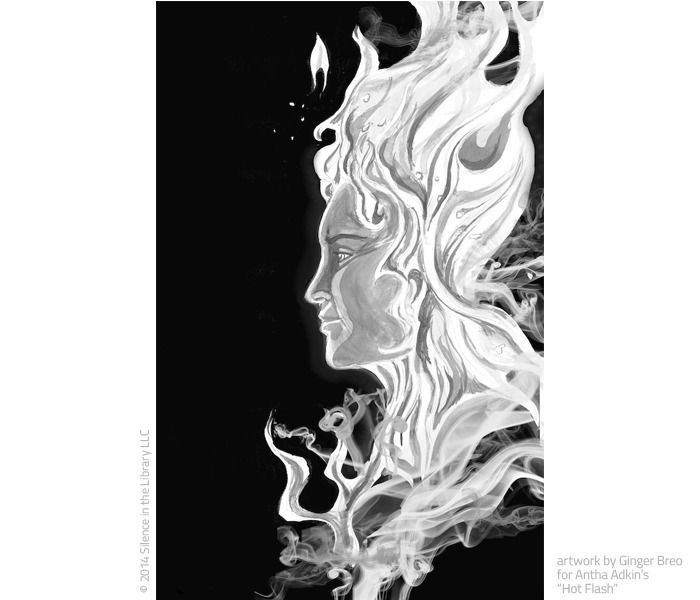 But when the change ignited a fire inside her, she had to find a way to shed her excess heat. Sound like something you’d want to read? You can preorder via Kickstarter! As part of the Athena’s Daughters 2 Kickstarter campaign, the authors and editors are doing a blog tour. Today I am delighted to be a guest on Rori Shay’s blog, writing about the value of critiques and your response to them.